634 days after we launched on Wednesday 5 June 2015, the milestone is reached, the big 1000 is here. We launched with colossal ambitions to bring as much sport as possible to our readers, as we stated in our first ever article. It all started with Nisar Khan and Waqar Hussain, covering the 2013 ICC Champions Trophy cricket tournament hosted in England. With just three writers in the initial founders and Âdil, we proceeded to cement the building blocks. India would go on to oust England in the final at Edgbaston, before the gates were opened for plenty more sport to follow. Rafael Nadal went on to triumph at Roland Garros defeating David Ferrer, before we dabbled our feet in the waters of Formula 1, as Sebastian Vettel went on to take pole position at the 2013 Canadian Grand Prix. Miami Heat prevailed in an incredible 2013 NBA finals, as they took the victory in Game 7 after a season that had it all. Meanwhile in Brazil, the nation was tuning up for the World Cup with the confederations cup, and the hosts would go on to conduct a Maracana masterclass against the World Champions. One of the greatest moments to ever be covered on TheSportMatrix was Andy Murray's triumph at Wimbledon 2013, becoming the first Brit to lift the title in more than 70 years. In what was an incredible sporting weekend, Vettel was victorious at the Nurburgring, while middleweight kingpin Anderson Silva was dethroned in a shock knockout loss to Chris Weidman at UFC 162. With an all-new Barclays Premier League season fastly approaching, we introduced a revolutionary "Preview Series" for the tournament, where we broke down the seasons for each team. Also in that spectacular summer, our WWE coverage was through the roof as CM Punk topped Brock Lesnar at a thrilling SummerSlam. Mo Farah reigned supreme in the Moscow Championships and to add to that, controversy spewed out of control in The Ashes. In August, we also signed up one of our biggest success stories to date, the recruitment of Mikey. One of his first articles was why "Mercedes Can Slay Red Bull"—and now with wind behind our sails, TheSportMatrix was gathering momentum. It was then time for the Premier League to kick off. Simon Mignolet's heroics saved Liverpool to get three points against Stoke, Manchester United orchestrated a master-class against Swansea, and City bludgeoned Newcastle in the opening weekend. Continuing to cover all the UFC events, WWE events and football match reports throughout the Summer, things were looking up. We then stepped inside the boxing ring to cover the huge bout between Floyd Mayweather and Saul Alvarez, a battle of two undefeated boxers. Floyd Mayweather would emerge as "The One" with a convincing points victory. On to the other combat sport, Jon Jones would later edge Alexander Gustafsson in one of the best title fights in MMA history. Derrick Rose also made his return for the start of a new NBA season. The first taste of La Liga would then come as Neymar made an impact on his first El Clasico to give Barcelona a victory over their rivals. Speaking of European football, the 2013/14 UEFA Champions League season featured the birth of our ground-breaking roundups. We were soon introduced to the Bundesliga as Bayern Munich dominated Borussia Dortmund. Fastly approaching the new year, the great sport continued to come. There was controversy as Carl Froch retained his title following a controversial stoppage of George Groves, There was also some thrills on the football pitch, as Everton clawed back a point in a sensational Merseyside derby while Man City blew 6 goals past Arsenal in a nine-goal classic. Randy Orton became the unified WWE Champion as he beat John Cena at WWE TLC, Anderson Silva's rematch ended cruelly at UFC 168 and Liverpool were racing for the title. It was time for a new year, as 2014 dawned. After our "Year in Review" series, it was time for a real takeover. A sublime start to the year in January was followed by Super Bowl 48, as the Seattle Seahawks thrashed the Denver Broncos for their first Championship in franchise history. 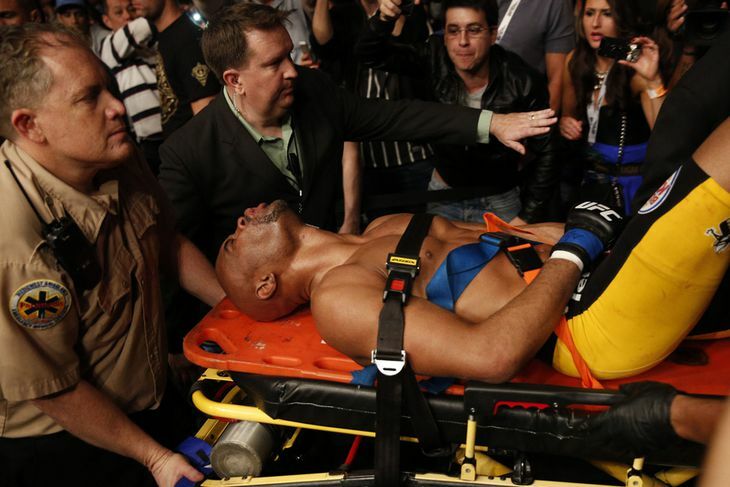 We also had exclusives in February from UFC London 2014, as Gustafsson knocked out Manuwa. 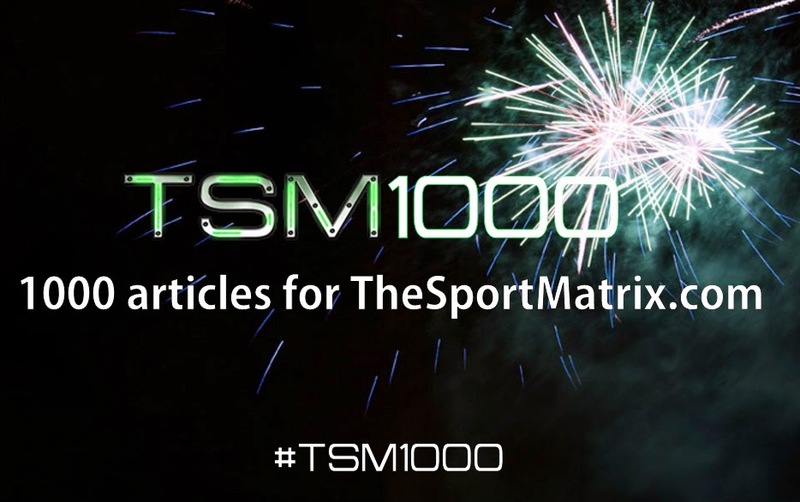 With more writers coming on board, we then welcomed Bailey to the team, where he began a year of upwards progress to prove another huge success for TheSportMatrix, while Neil Mehta continued to provide us the insight from American sport. Lionel Messi shined in yet another thrilling El Clasico, while Bayern solidified their dominance clinching the Bundesliga title with seven games to spare. One of the most shocking moments covered in TheSportMatrix history so far took place in front of a full-capacity Super Dome in New Orleans for WrestleMania. Brock Lesnar broke The Undertaker's untouched undefeated streak at the grand event to a deafening silence in Louisiana. The night did end on a high note, however, as Daniel Bryan was victorious as he captured the WWE World Heavyweight Championship. Liverpool were making an ascendancy to their first ever Premier League title but a loss to Chelsea at Anfield would crumble those hopes as Manchester City went on to be the victors of a truly phenomenal season. One of the biggest fights in the history of British boxing went down in London's Wembley Arena concluded the first era of TSM. After Carl Froch brutally knocked out George Groves, it was time for a hiatus—albeit a small one, since the World Cup was less than a month away. The greatest spectacle on the planet, the FIFA World Cup. Brazil welcomed the World to it's global show and here at TheSportMatrix, our team of Mikey, Nisar, Waqar, Matt, Maldini, Bailey and Adil were ready to bring the whole tournament to you. That incredible tournament changed us for the better. Germany went on to win the tournament toppling Argentina in the final after Gotze's stoppage-time strike. But the moments of that and prior to that will be cherished forever. With all 64 games covered on the World Cup, our coverage was sublime. You can view it all in it's entirety here. Then, it was time for the new era. A new design to our website, and a refuelled determination to succeed. One month later, we were back at it with our relaunch, welcoming a plethora of articles each and every day. 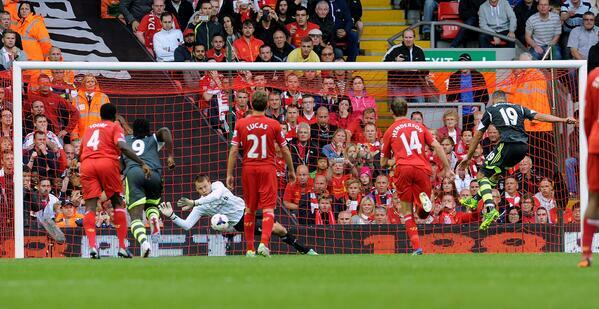 In time for the new Premier League season, it opened with Louis van Gaal's big day being wrecked by Swansea. Later in the weekend, Arsenal escaped Crystal Palace, Man City thrashed Newcastle and Chelsea saw off newly-promoted Burnley. Brock Lesnar delivered one of the most lopsided title matches in WWE history as he destroyed John Cena to claim the unified WWE title at SummerSlam. A few weeks later there was another Premier League nine-goal classic to feast on as Chelsea topped Everton. In the new NFL season, Seahawks were off to a flyer was they routed the Packers. Soon after, the Champions League was underway, and we had every game covered. Liverpool would crash out while Chelsea, Arsenal and Manchester City made it through the groups stages, among other action that took place over six weeks from the pinnacle of European football. We had full Champions League coverage, lighting up every European night. Live blogging was something we began to explore more and more frequently as the bigger sport came our way. We started with one for El Clasico, we then had a whole weekend of live sport with #TSMLive, as our expansion saw no limits. After 2014 came to a close, 2015 was under way, a year which we knew belonged to us. The time is now for TheSportMatrix. All writers: For being a part of TSM. Thank you to Mikey, Bailey, Waqar, MMA Genius, Keith Mehaffey, Maldini, Kassem, Jack W, Jayati, Akshata, Prachi, Alex, Scott, Tom, Afzal, Kamran, Joey Thorpe, James Simpson, Neil Mehta, Marcus, Layton, Ahmad, Kyle, Otaku, Matt Newton, and anyone who has ever read or interacted with TSM in anyway - we can't thank you enough. 1000 articles in, this is just the start. Thank you for being a part of the first chapter in our greatness.